Need a quick and easy side dish for Christmas? Just a few ingredients and Wala! a perfect corn dish that everyone will love! 2 – Melt butter and add to casserole dish or disposable pan. 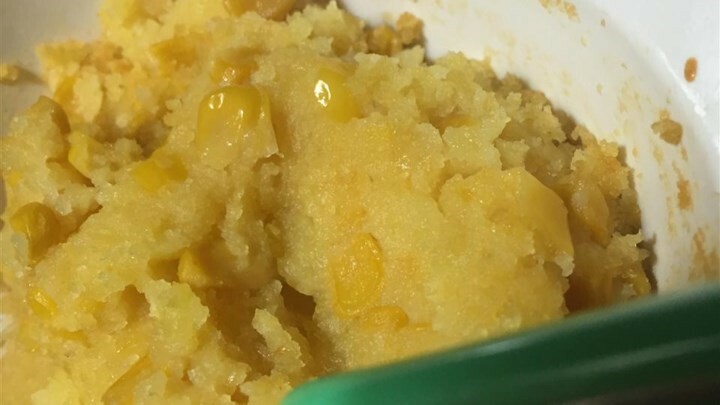 3 – In large bowl, combine creamed corn, whole kernel corn, corn bread mix, eggs, and sour cream. Mix well. 4 – Add mixture to buttered dish or pan and bake 40-45 minutes, until golden brown on the top.